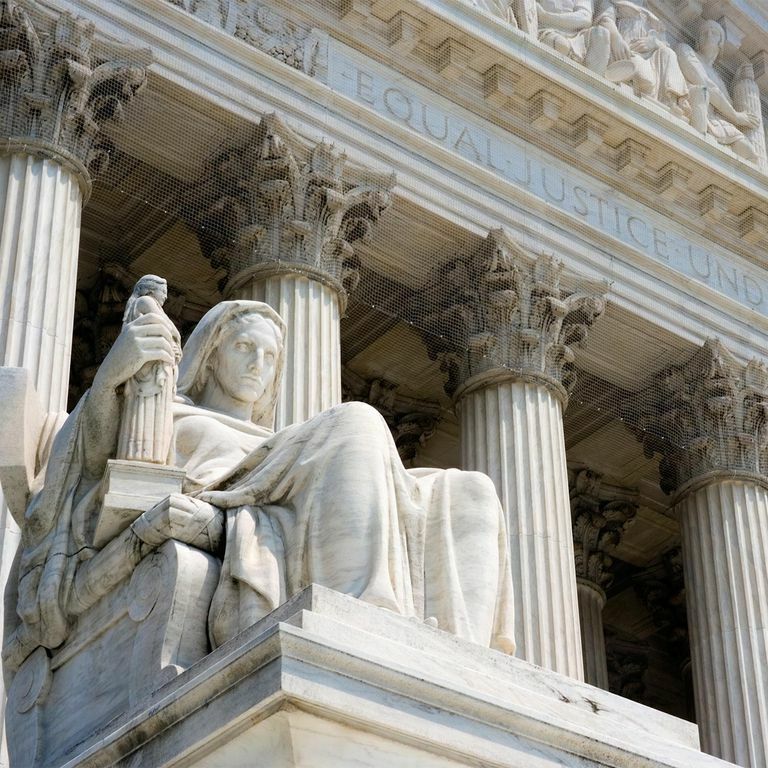 Did the Supreme Court Rule America a Christian Nation? There are many Christians who sincerely and even vociferously believe that America is a Christian Nation, founded on a belief in and worship of their god. One argument they offer on behalf of this is that the Supreme Court has officially declared America to be a Christian Nation. Presumably, if America is officially a Christian Nation, then the government would have the authority to privilege, promote, endorse, support, and encourage Christianity — the sorts of things which many of the most radical evangelicals desperately want. Adherents of all other religions, and secular atheists, in particular, would naturally be "second class" citizens. The case itself involved a federal law which prohibited any company or group to prepay the transportation costs of a non-citizen coming to the United States to work for that company or organization, or indeed even encourage such people from coming here. Obviously, this wasn't a case where religion, religious beliefs, or even just Christianity, in particular, played a big role. It would be very surprising, then, for the ruling to have much at all to say about religion, much less to make a sweeping declaration like "America is a Christian Nation." Religion became entangled with the issue because the federal law was challenged by Holy Trinity Church, which had contracted with E. Walpole Warren, an Englishman, to come and be a rector for their congregation. In the Supreme Court's decision, Justice Brewer found that the legislation was overly broad because it applied to much more than it should have. He did not, however, base his decision on the idea that, legally and politically, the United States is a "Christian Nation." Quite the contrary, because the things Brewer lists as indicating that this is a "Christian Nation" he specifically labels as "unofficial declarations." Brewer's point was merely that the people in this country are Christian — thus, it seemed unlikely to him and the other justices that the legislators meant to prohibit churches from inviting famous and prominent religious leaders (even Jewish rabbis) from coming here and serving their congregations. Nor is it Christian in the sense that a profession of Christianity is a condition of holding office or otherwise engaging in public service, or essential to recognition either politically or socially. In fact, the government as a legal organization is independent of all religions. Justice Brewer's decision was not, therefore, any attempt to argue that the laws in the United States should enforce Christianity or reflect solely Christian concerns and beliefs. He was simply making an observation which is consistent with the fact that people in this country tend to be Christian — an observation that was certainly even truer when he was writing. What's more, he was forward-thinking enough that he went so far as to deny many of the arguments and claims made by conservative evangelicals down through today. We could, in fact, paraphrase Justice Brewer's last sentence to say, "Government is and must remain independent of all religions," which strikes me as an excellent way to express the idea of church/state separation. Saying that America is a "predominantly Christian nation" would be accurate and not cause mischief, as would saying "America is a nation of mostly Christians." This communicates information about what group is a majority without also implicitly conveying the idea that any extra privileges or power should come with being part of the majority.